Our flagship model, the Whirlpool FSCR 12441 washing machine combines a 12kg drum with a selection of 19 wash programs, A+++ energy efficiency rating and exceptional technology, plus stay connected through your smart phone to save time and resources. Putting control in the palm of your hand, the 6TH SENSE Live App delivers access to your most essential appliances, direct through your Apple and Android devices. Allowing you to remotely set wash and dry cycles, plus schedule and favourite your wash types for ease of future use, 6TH SENSE Live also connects your washer and tumble dryer allowing you to see how much each cycle costs via the Ecomonitor, for better resource management. An all-round respectful approach to laundry, the Whirlpool FSCR 12441 washing machine also comes with Zen Technology - our innovative new style motor and the quietest spin cycle on the market which  at 48dB  is so discreet it won't disturb conversation or dinner. With innovative 6TH SENSE Technology the Whirlpool FSCR 12441 washing machine uses sensors within the drum to assess how dirty your laundry is, automatically adapting the cycle to suit, saving up to 70% of energy, water and time, as well as reducing detergent wastage. Promoting a resource-friendly approach to washing, PrecisionDose helps save up to 12L of detergent per year by auto-dosing your wash from a pre-filled chamber with up to 20 cycles of detergent and softener. As well as reducing waste, this clever feature also ensures your garments receives the perfect level of cleaning solution for each wash's requirements. Complementing 6TH SENSE Whirlpool's unique Precision Clean jets ensure clothes are thoroughly rinsed to remove all detergent residue. Cleverly offering the best rinse on the market whilst using the lowest water consumption. Ensuring the vibrancy in your garments remains paramount, Soft Move within the drum dynamically adapts to provide bespoke movements according to fabric type, ensuring all laundry is evenly distributed for brilliant stain treatment whilst revitalising fabrics. And for when you can't unload the washing machine straight away, Fresh Care provides a gentle tumble for up to six hours to ensure garments retain long-lasting freshness. 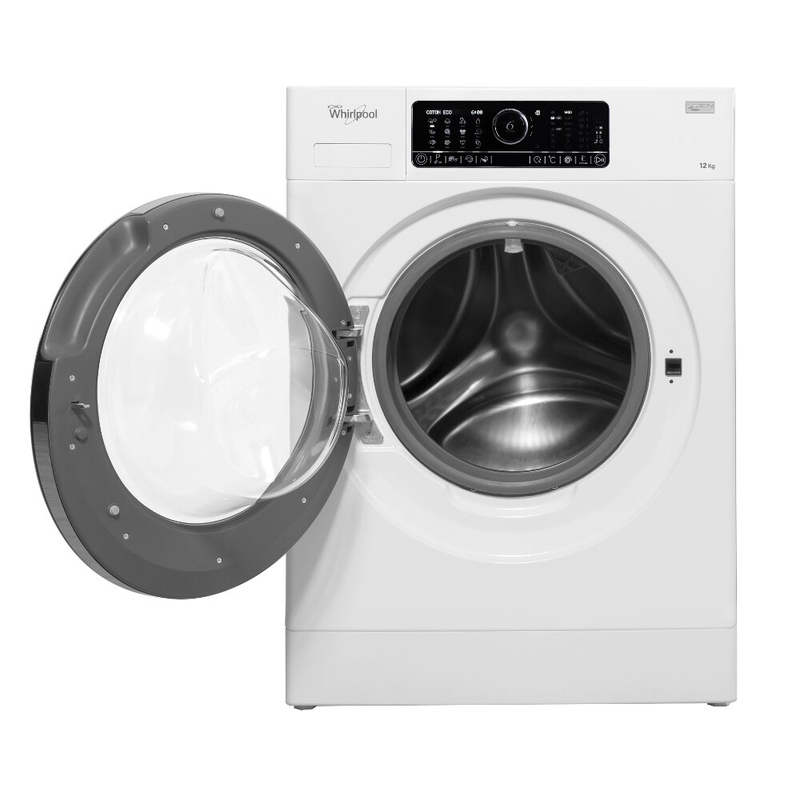 With spin speeds of up to 1400 rpm, variable temperature and spin, plus a 24 hour delay timer and Drum Light to easily find your garments - the Whirlpool FSCR 12441 washing machine in white delivers an intelligent approach to every aspect of laundry.